Software has been developed to assist school principals in policing the online behavior of students; online behavior outside of school facilities and hours that is. Pointing out the folly of such a pursuit or the obscene waste of resources of such an endeavor is disheartening. As our public education system is eroding in rigor and well roundedness, do we really need yet another distraction? 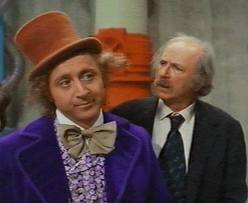 At what point are we Willy Wonka warning of yet another bad decision with hushed weary intonations of; “No. Stop. Don’t”? The notion that a child’s behavior outside of school is the school’s business/problem is absurd. Unless the school is part of an orphanage it is not the school’s problem. The very idea that there could ever be any software program that could police all the children, in all electronic realms is simply science fiction. Children do stupid stuff. Kids can be mean. How they do this stuff is beside the point. Generations ago principals did not police finished basements, railroad tracks, bowling alleys and soda fountains. No doubt some principals at some point have cleaned graffiti off a bathroom wall, but they didn’t crouch in a corner ready to pounce upon the scribe (or at least I hope they didn’t.) Most of us of voting age were either bullied, a bully or a mix of the two at one point or another. It’s what kids do. Siblings torment siblings, classmates tease classmates, and kids terrorize neighbors (Boo Radley anyone?) It’s not nice, it’s nothing any adult is proud of, but it is part of growing up. The issue is how children and the adults around them respond to such goings on. Bullying and extreme response to bullying both come from the same place; insecurity. Children are trying to find their way in the world and to feel some sense of control. A bully feels better about him or herself when they lord over someone. Being bullied feels crappy but should not feel like the end of the world. It becomes the end of the world when the bullying is unrelenting and perpetrated by many OR when the bullied is fragile. Fragility can take many guises but should be recognizable to parents. A fragile child does not have close (age appropriate) friends, reacts disproportionately to disappointment, and demonstrates excessive anxiety or (inward or outward) rage. Children who have trouble connecting to their world around them can be devastated by the sense that their world hates them. Children, particularly fragile children, are best served by having their world expanded. Multiple social networks (e.g., scouts, dance class, religious school, relatives, etc.) are an insurance policy against ostracization. Feeling good about one area of his/her life can be the light at the end of the tunnel for a bullied child. The very idea that a principal should spend money and time trying to police the (often elusive) behavior of children is absurd. If there is that kind of time and money available perhaps we could get the arts back into the school? For decades arts, particularly theater, has been used with vulnerable populations to explore issues of empathy and self-esteem. Prisons and juvenile detention centers have changed lives with their theater arts programs. Children engaged in writing or visual arts projects learn about each other and find common ground. A school experience not based on physical agility or extroversion creates a more realistic environment for children. (Few adults have to make their way through every weekday by being popular.) Bullying and extreme response to bullying is about a response to lack of control. Adding more external control (which has no hope of being effective) completely misses the mark. Strong children are not built with surveillance systems. Strong children are built by a sense of accomplishment and mastery. Schools can play a part in that but to do so they need to focus on education not on in loco parentis.